Add chicken and cook until chicken is cooked through. Meanwhile cook basmati rice in a rice cooker or according to directions on packet. 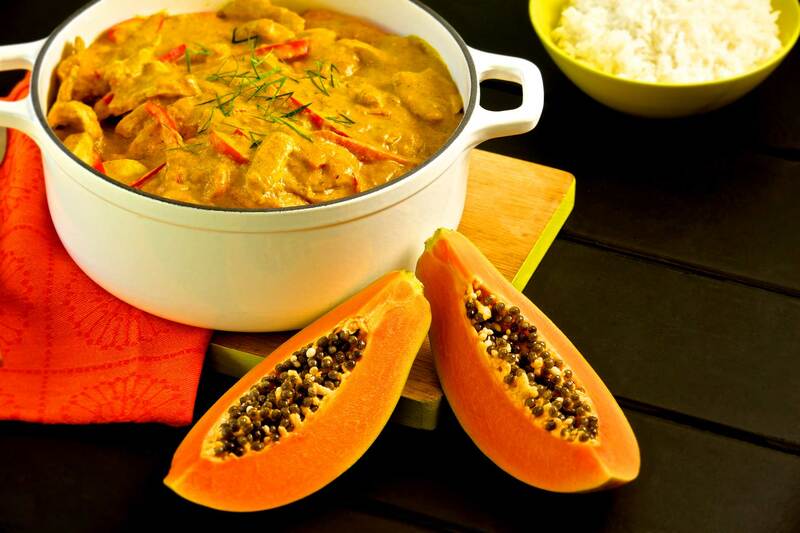 Serve papaya and chicken curry with basmati rice. Garnish with thinly sliced Kaffir lime leaves (optional). Season to taste.